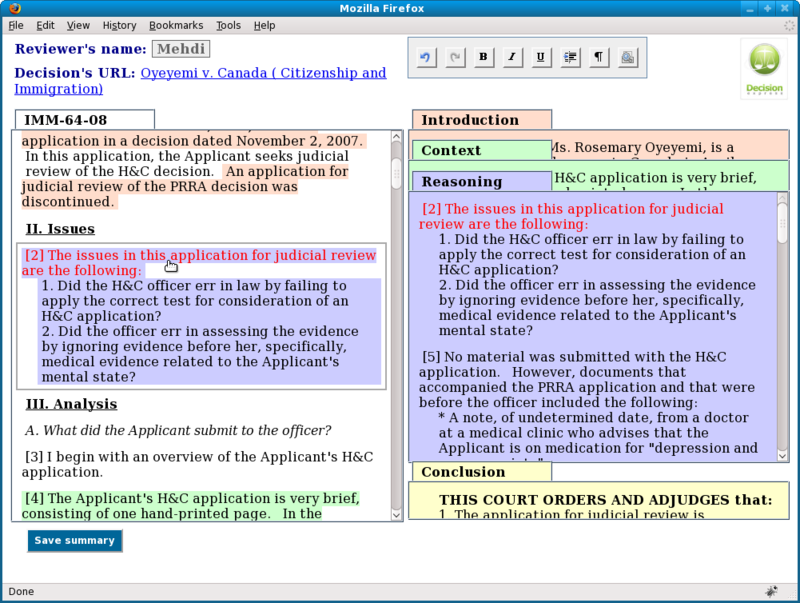 WebREG, is an interactive prototype tool for learning referring expressions. For more information, please refer to the documentation (FR) or the slides (FR). 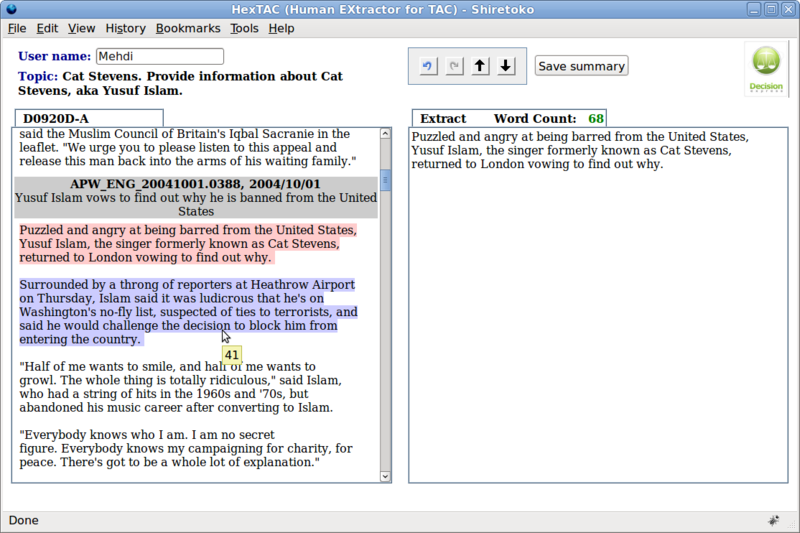 HexTAC (screenshot), a Web software used for creating summaries by sentence extraction, for an experiment at conference TAC 2009. HexTAC share most of its code with RevSum. An online evaluation system for CoLin, written in PHP, with a Web interface, user registration, multiple steps and user types, saving data in a SQL data base. A tool, written in Java, for allele alignment (on IMGT) that automaticly compares amino acid sequences of allele and generates html pages (here is an example). A prototype, written in Java, implementing our approach on dialogical and learning cognitive artificial agents. 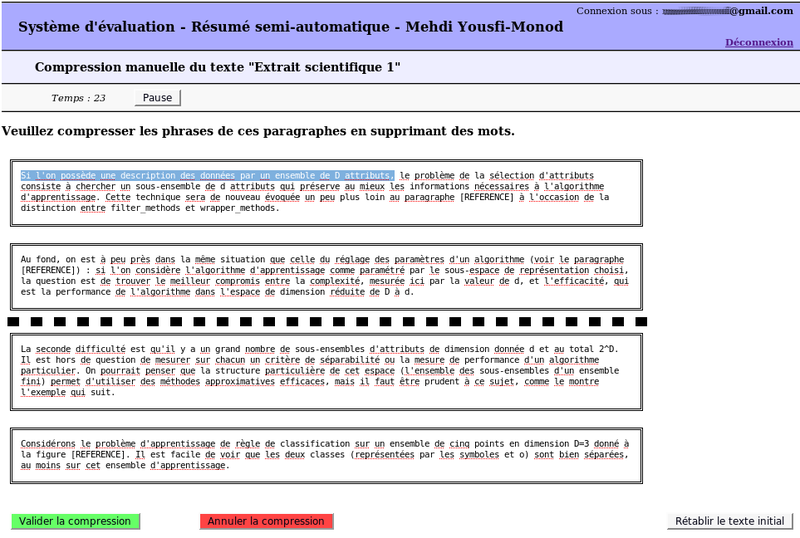 A French spell checker written in Java (realized with Fabien Jalabert and Baptiste Munier). IMGT/JunctionAnalysis, a nucleotidic sequences analysis tool, written in Java and online on IMGT's website.